Summer is more than half over and while I love fall, I will mourn the loss of long sunny days. But for now, I’ll enjoy the colorful flowers from my garden. 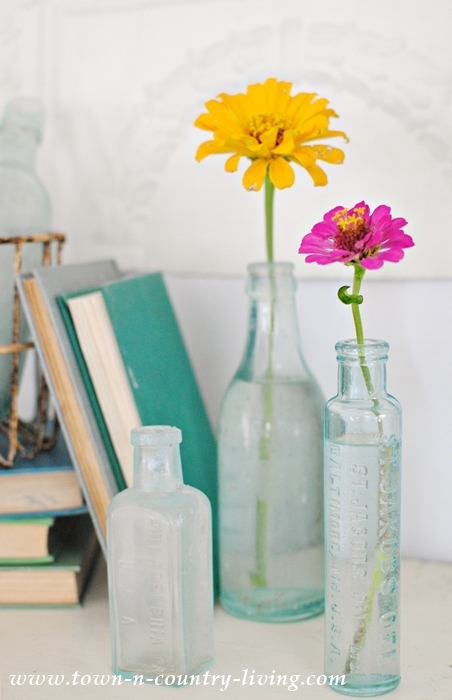 My ever-expanding collection of vintage aqua bottles proudly display cheery Zinnias from the garden. Altogether it makes my summer mantel. I thought I had collected all the vintage aqua bottles I wanted. But a trip to our local flea market last weekend proved me wrong. I needed a place to display my newfound vintage bottles and the mantel was an obvious choice. I hope you’re not tired of seeing my zinnias. They’re blooming their little hearts out in the garden. They’re a perfect adornment for aqua bottles. One of the vendors at the flea market had tables overflowing with vintage bottles in a variety of colors. Clear, aqua, brown, purple; in all shapes and sizes. They were all beautiful. I couldn’t resist and bought several. The vendor knew a lot about vintage bottles and shared a few stories about his bottle-scavenging experiences. He scoured rivers, dumps, and more to find these precious glass gems. Three round bottom soda bottles at one end of his expansive table caught my eye. The idea behind the design is that people can’t set the bottle upright, ensuring that the cork stayed wet. Hubby asked how I was going to display them since you can’t stand them up. So I tracked down a a crusty metal basket before leaving the flea market for the day. 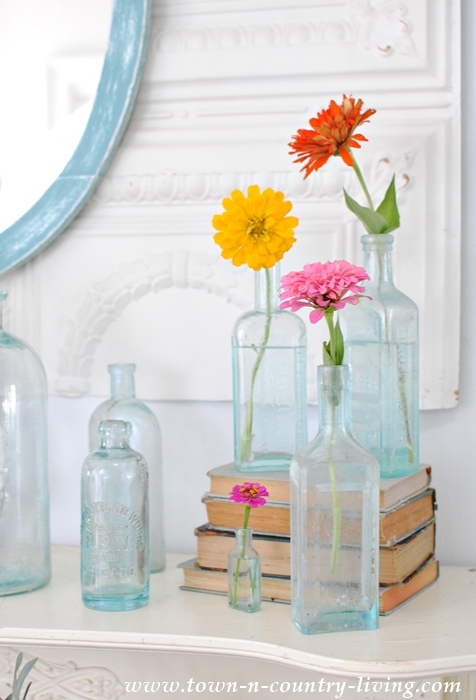 A larger bottle makes the perfect flower vase. And a teeny tiny one is the perfect receptacle for a button zinnia. 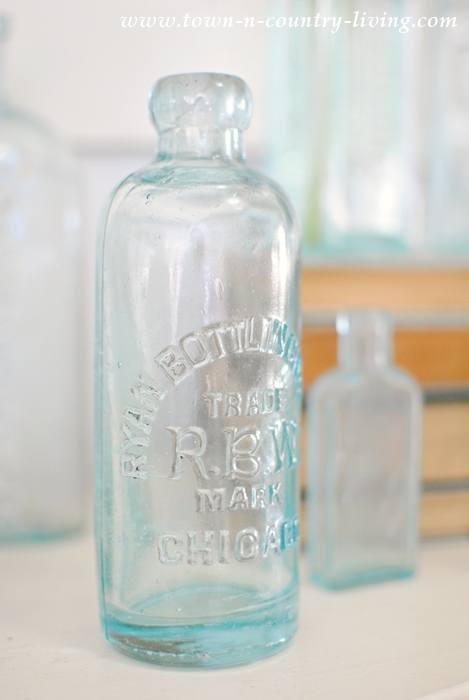 A large stoppered glass bottle stole my heart. It’s beautiful all on its own. 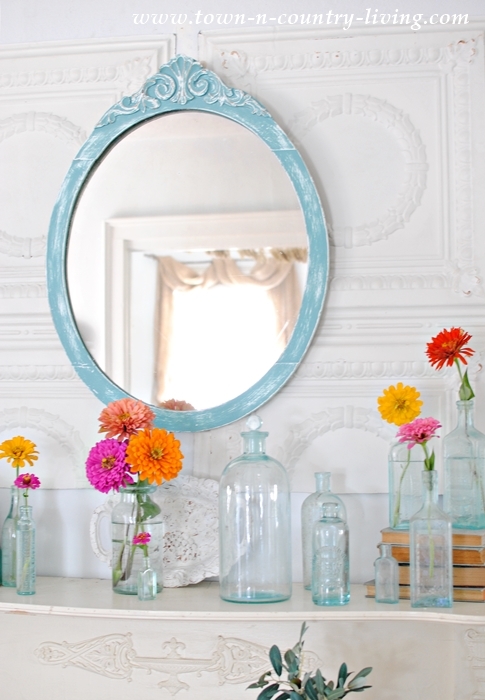 My summer mantel is looking cheery and colorful with the addition of my latest finds. 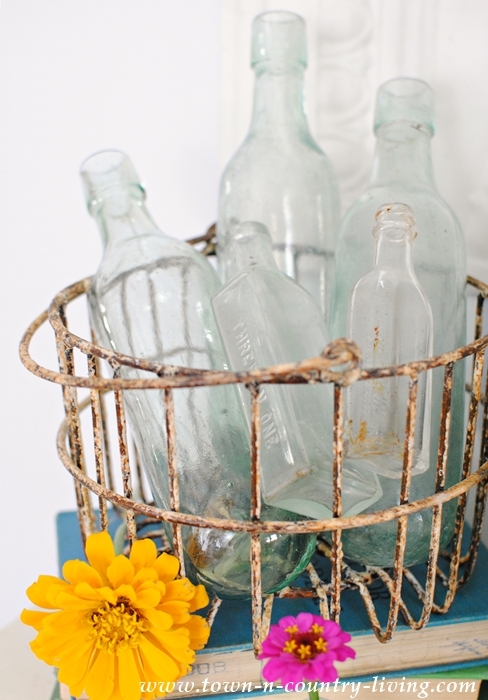 I plan to use my vintage bottles when I decorate for Christmas. I have a few ideas floating around in my head. My summer mantel will be enjoyed for as long as the zinnias last. I’ve got plenty more in the garden to replace any faded blooms. I’ve also got more vintage bottles to share with you. I finally started a purple bottle collection and will share those soon, along with a special story about them. I hope you’re enjoying the last days of summer. Make the most of it by dining al fresco, take a long hike, or pack a picnic lunch. 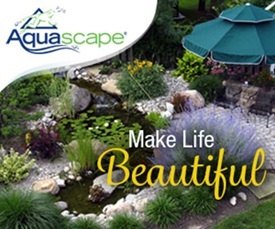 Now’s the time to enjoy a few more warm-weather activities! I love your summer mantel, Jennifer. And those bottles are wonderful. I’ve got a few vintage bottles but I’m wanting more after seeing your collection. And the zinnias are beautiful. Love the bright colors. 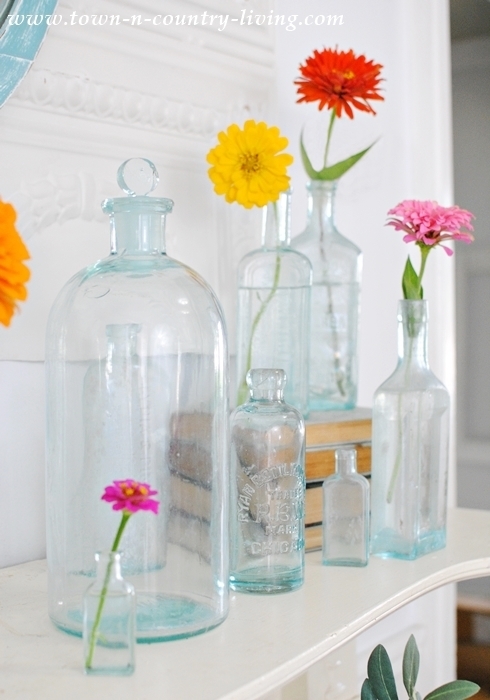 So pretty, I love these vintage bottles they look great done in numbers like how you have done it ! Love vintage bottles. I’m lucky enough to have one from great grandfather, who was a doctor, we believe it was a medicine bottle. I have tried to clean it to get rid of a white residue that coats the inside in a couple of spots, but have been unsuccessful so far. Any suggestions on how I might get rid of the residue? I gotta admit, Jennifer, I bought an aqua bottle on my last antique shop trek. ???? You have influenced my choices in decorating. I have also started collecting old milk bottles from dairies that were located in my childhood hometown. I just love your zinnias too. 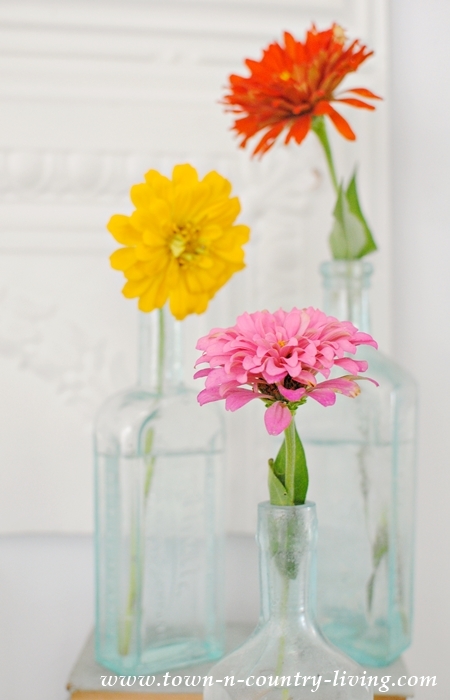 I remember my Dad putting a row of zinnias in the front of his vegetable garden every year. 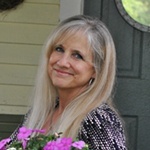 Thanks so much for your fun and informative blog! 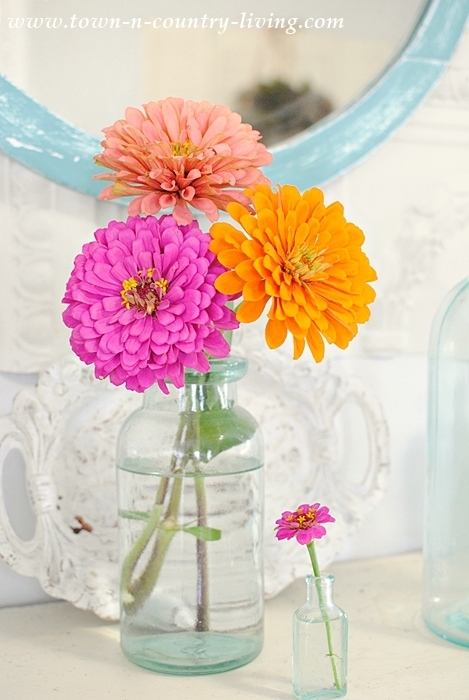 so pretty, Jennifer, love the bright pops of color with the Zinnias! These are a great collection and can’t wait to see the purple ones! 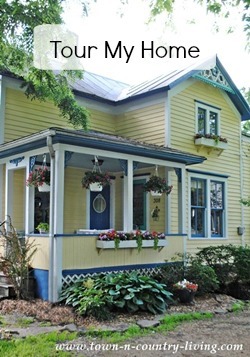 Your mantle is truly summery and looks great! The bottle with the stopper in it is a real find…would love to find one just like it. Zinnias are also a favorite of mine. Can’t wait to see what you do with the bottles at Christmas time. Love the bottles. Your mantle is gorgeous. I love Zinnias. 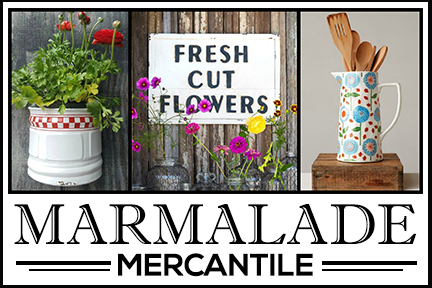 Going to a flea market on Sunday. I hope the purple bottle guy is there! I have been passing him up, but I think it is time for me to meet him! 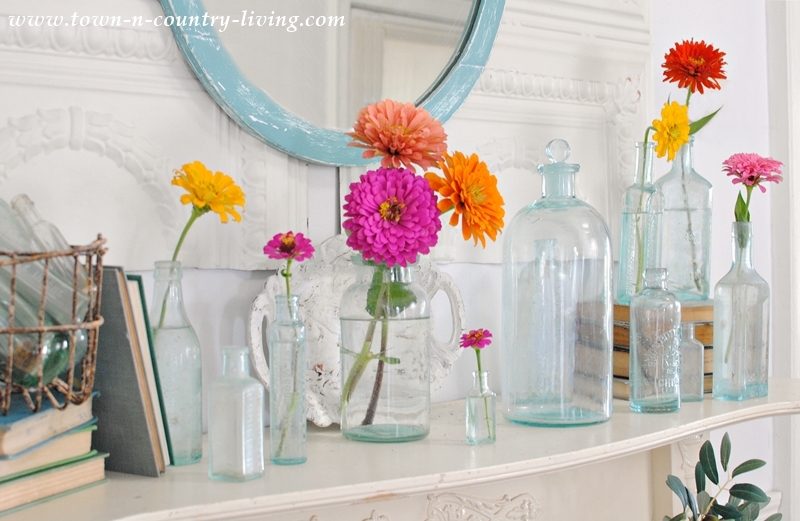 Love the bottles on your mantle and the flowers make me smile! The mantel is so pretty. 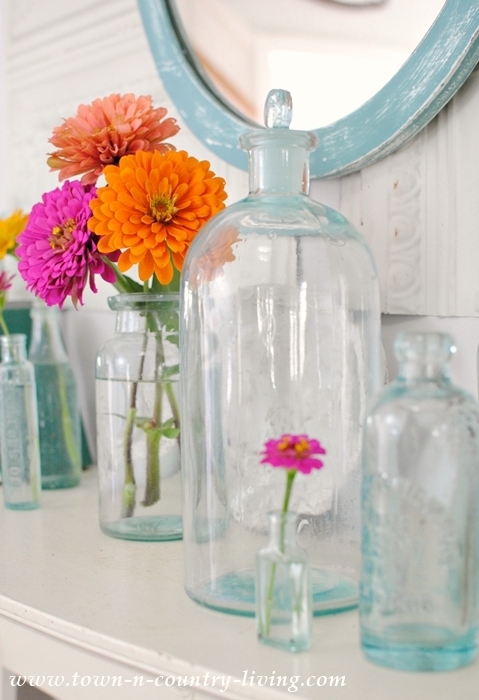 I love the bright color of the zinnias with the soft aqua of the bottles. Your mantel looks beautiful and those bottles are wonderful! I was just looking for my bountiful zinnias. My husband has a whole gathering of vintage bottles. What a fantastic idea! Guess what I’lI be doing today!